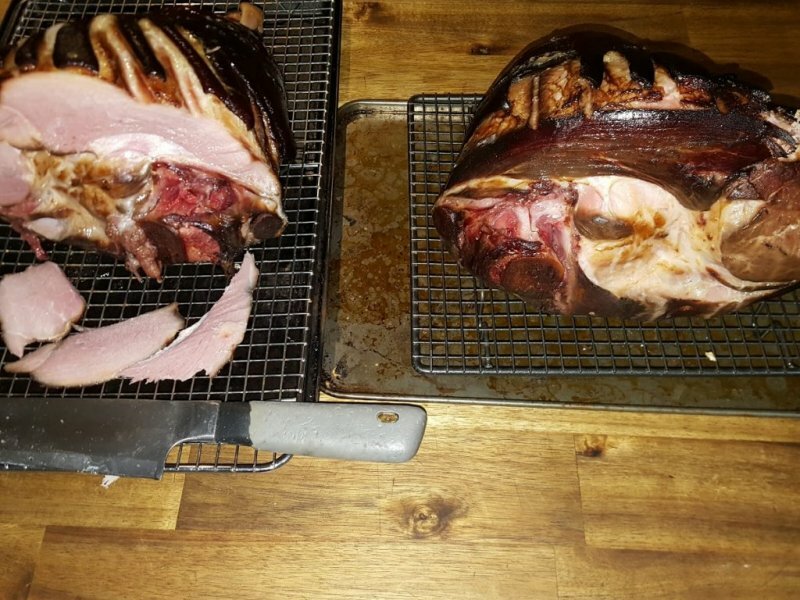 This is how I make my hams.These were made a couple of weekends ago. 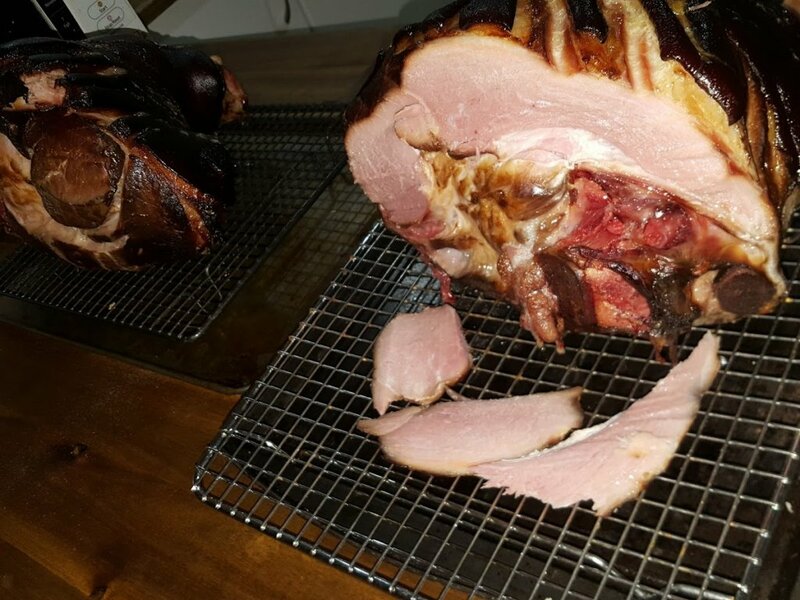 Brined and injected thoroughly. 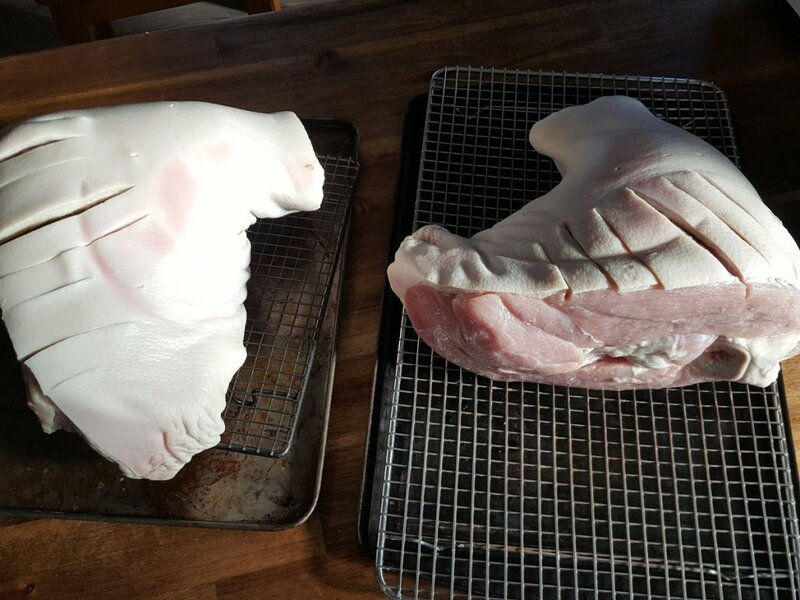 Depending on the size I'll brine them for 10-14 days. 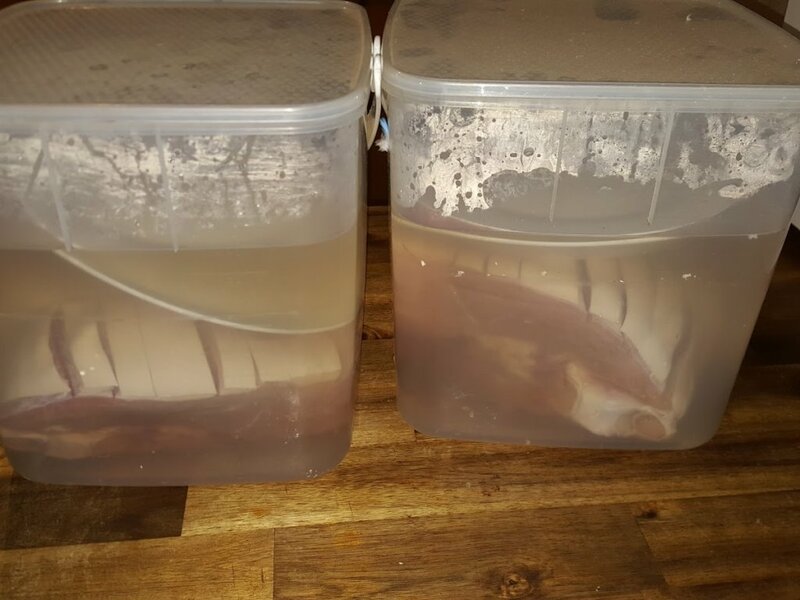 These two were just over 4kg each and were in the brine for 10 days. The brine is a pink salt brine. 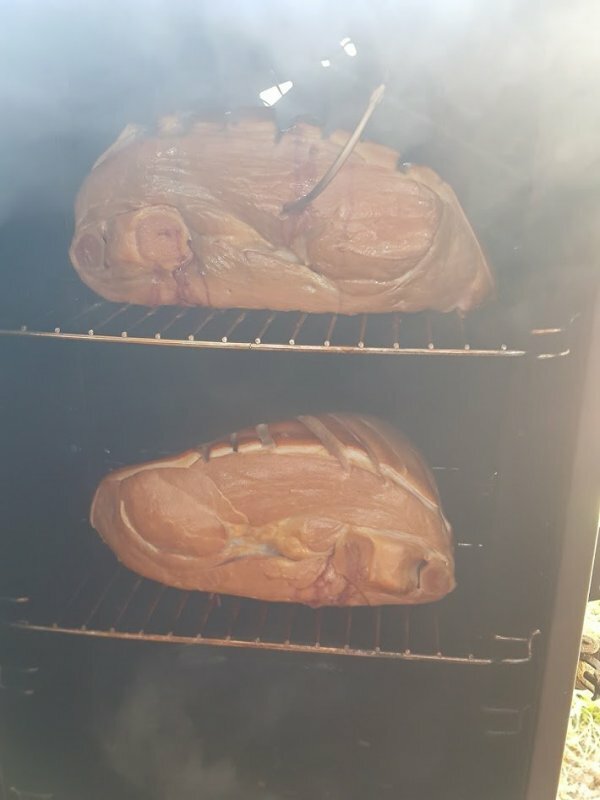 Pit temp was about 235 F and I got them to an internal of 165 F. Though I think my Maverick is playing up and they were a bit on the dry side.